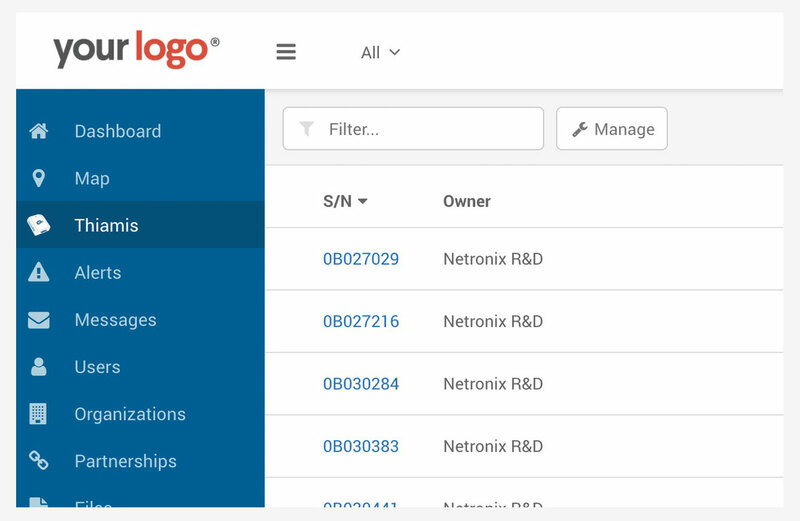 Netronixgroup | Access your data, anytime, anywhere. Access your data, anytime, anywhere. 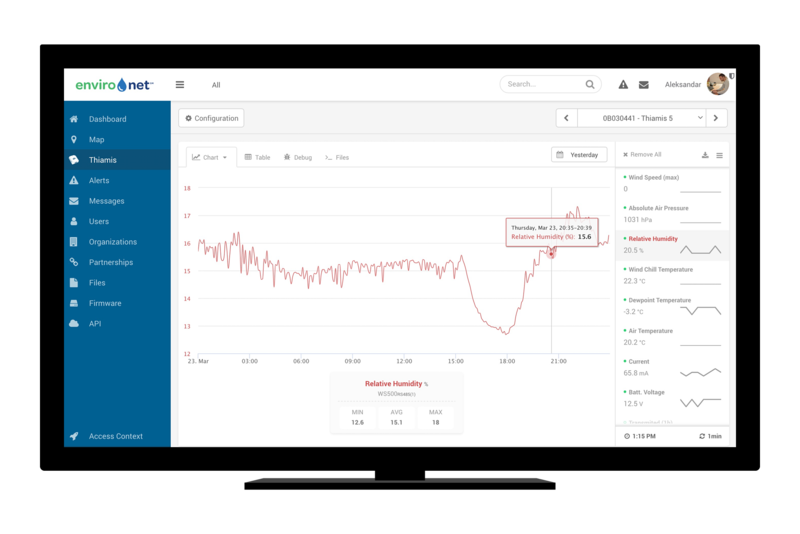 environet™ is a fully-hosted, web-based application that enables end users to perform real-time monitoring and historical analysis of captured data, as well as, to collaborate with peers in an intuitive web-based environment. Users can even view on our map the current status of their sensors and nodes. 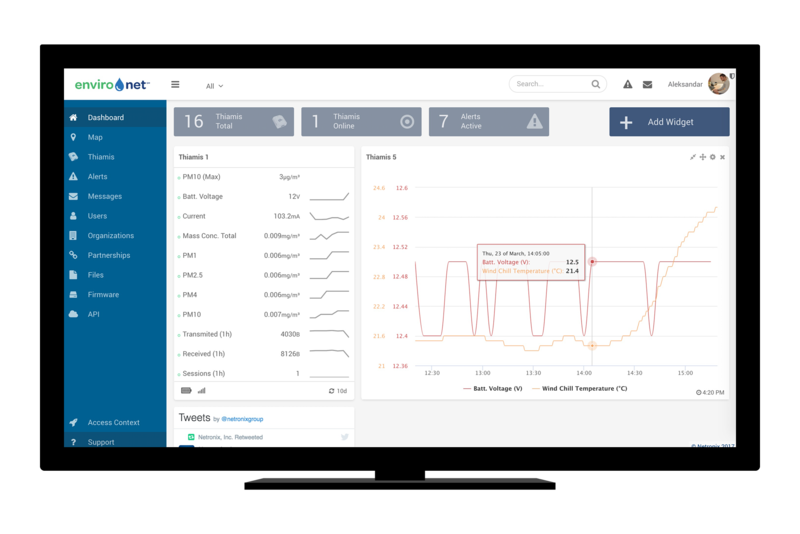 A fully customizable dashboard by each user allows within seconds an overview of their ecosystem. 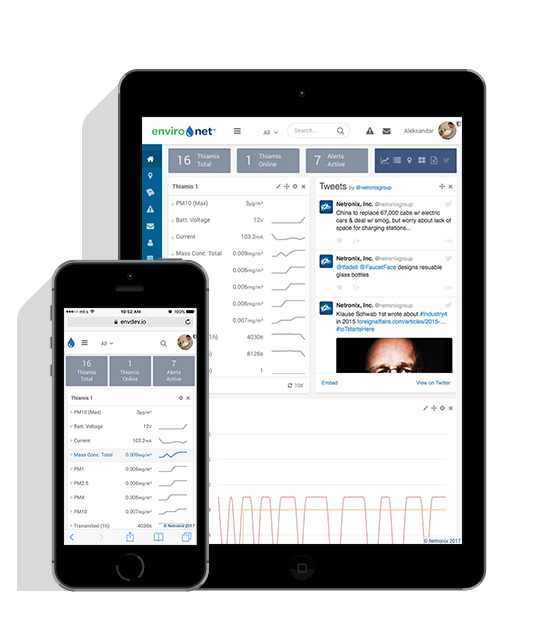 Environet™ is also available on your tablet and mobile. 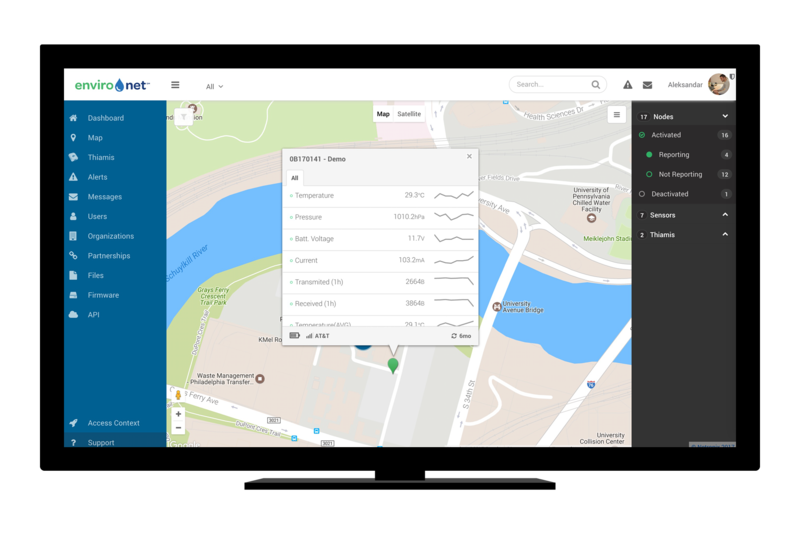 Environet makes data trully available on the go. It has been designed on an architecture that makes it accesible on any mobile device without any loss of features and functionality, while maintaining an outstanding UI/UX. 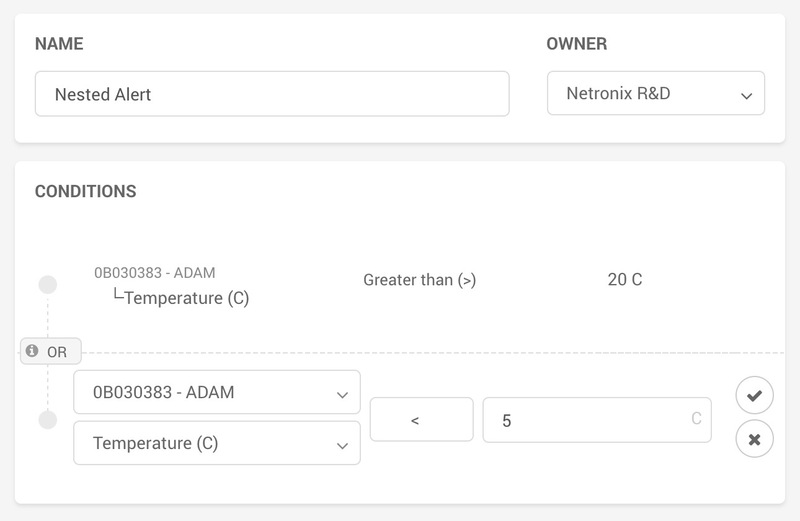 A sophisticated, yet simple way to create any type of alerts in your system, with only few clicks. ...made by developers, for developers. We are a team of passionate developers and engineers who strive every day to make our IoT platform better by adding more tools, while eliminating complexity...so other developers can create their applications fast and easy. That's why our platform is referred to as a developers' dreamland.